Diverse landscapes, superb guiding and exquisite game viewing, Zimbabwe is an iconic destination for the avid safari-goer. 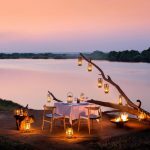 Although in the past the country has seen political unrest, today its successful revival is attested by a healthy crop of thriving camps and a growing number of Zimbabwe-dedicated travellers who revel in compelling safari experiences. Bordering both Zambia and Zimbabwe, the thundering Victoria Falls is a humbling sight with the Zimbabwe side offering superior views of its sheer magnitude. Navigate the misty walkways that run alongside one of the largest curtains of water in the world. 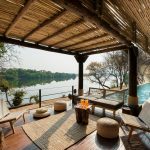 For down time, unwind at one of the lodges overlooking an incandescent Zambezi River. 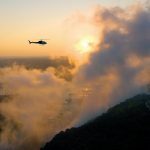 Thrill-seekers can take a helicopter flight over the falls or brave the white-water rafting through the rapids. For exquisite rhino sightings, head south to the Malilangwe Wildlife Reserve where leaders in conservation, Malilangwe Trust, has helped carve out extraordinary wilderness experiences - explore the acacia speckled lowveld and mopane forests tracking the endangered black rhino, discover a few of the 100 ancient rock art sites and watch the breathtaking sunset as you cruise along the dam just below the lodge. Mana Pools National Park is where Zimbabwe comes into its own. The Zambezi River is a sensational melting pot of superlative game. Canoe gently past elephants drinking from the grass banks or boat to where groups of boisterous hippos jostle for space. The best walking safari outfits in Africa have set up top grade traditional camps (we recommend taking these exclusively) as a base for seeking big game. 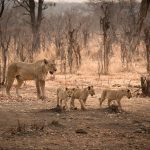 Traverse the land with some of the savviest guides on the continent, tracking huge herds of buffalo, prides of lion and even the elusive wild dog. Our little black book means that we can allocate some of the best guides in Africa to our clients. 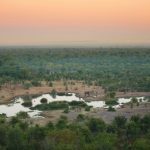 Just south of Victoria Falls, Hwangwe National Park offers stupendous game viewing including gemsbok, hyena and the endangered roan antelope - the area is particularly renowned for huge populations of elephant that congregate around the water holes. 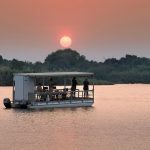 Combine this with the contrasting Lake Kariba - reel in tiger fish that swim in abundance and then idle the hours away in the scenic Sanyati Gorge. On the south side of Lake Kariba, walking safaris in the beautiful Matusadona National Park offer startling sightings of black rhino and elephant.